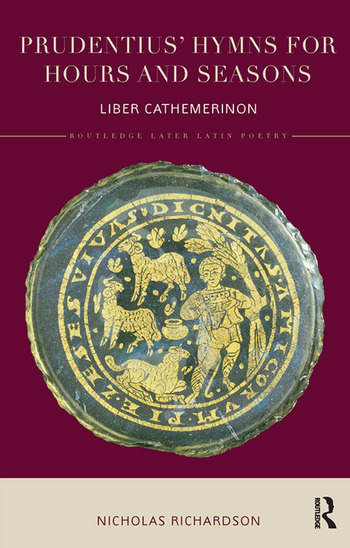 Combining faithfulness to the Latin with sensitivity to Prudentius’ poetic qualities, Nicholas Richardson offers a precise yet creative verse translation of a major work by one of the most important Christian Latin poets of late antiquity. Prudentius’ Hymns for Hours and Seasons also provides readers with a wealth of supporting material which sets the life and output of this poet in its historical, religious and literary context, outlines manuscript and editorial details, discusses metrics and Latinity, and also gives a sense of the individual hymns of the Cathemerinon. Richardson’s fresh translation allows readers unfamiliar with Latin to understand and interpret the poems, as well as offering those who know Latin a translation that keeps very close to the original text. Detailed notes at the end of the book illuminate both the literary and the religious aspects of each hymn. This commentary, along with the introduction and translated text, provides students and scholars alike with a comprehensive volume on one of the key works of later Latin poetry. VI. Were these hymns intended to be sung? Nicholas Richardson is an Emeritus Fellow of Merton College, Oxford, where he was Tutor in Classics between 1968 and 2004. From 2004 to 2007 he was Warden of Greyfriars Hall, Oxford. His published work includes editions and commentaries on the four major Homeric Hymns and the last four books of Homer’s Iliad, and articles on ancient literary criticism, Greek religion, and the relationship of classical with modern Greek and English literature.